Marketing is a cost, but content is an investment. Content strategy is using that investment wisely. Building your credibility requires a clean, unified, and consistent story around your solution to the market problem. You have to start early; this is not an end-of-cycle activity. Story Development – A great idea is not enough. Investors pay for a story, not just a belief in the mission and the founders. Articulate the problem you are trying to solve, and create a story around your idea. The story needs to satisfy both constituencies, potential investors and potential customers. Content Marketing. I’ll help you create an overall content plan, including a content schedule and channel selection. All of it needs to be consistent and in tune with your intended audience. Let’s make it all work together in concert. Brand Development. Your customers will ultimately control your brand, if you are lucky. Create and test a unified story around your concept. Make it compelling and sharable. Web/Social Presence. Social connections are an important part of your overall content strategy and customer development strategy. I offer direct, demystifying help at any level, including account modeling. Content Creation – Create regular content that provides direct value to your users and supports the story/brand. Website Content. Are you discoverable and optimized for search? What happens once your customer arrives at your site? Don’t lose a lead due to poor content. Blog Writing and Editing. Critical to developing an audience and your own credibility. The time to start is now, not when your product is complete. Video Scripting and Production. Add a personal, get-to-know-us touch with video; great for pitches and product walk-throughs. I can help you produce audio if you are camera-shy. Customer Development – Define your customers, develop an ideal profile, identify the early adopters, and let them help you create your story. Community Development – Convert early adopters into a network of vocal brand advocates. This will not happen without a story and a strategy. Funding Strategy – Make this a part of your marketing strategy. Angel investors are important, but crowd funding in particular can serve as concept validation. Pitch Development – Funding depends on being able to tell a concise and compelling story. You have one shot; let’s get it right. Product Presentation – Sure, you can describe your product. But can your customers describe it? They are your best marketers; make sure that they are confident and compelling in their pitch. You’re going to have 1,000 decisions to make. Don’t try to do this alone. I will engage at any level. The first orienting session is always free. Let’s find out if I’m a good match for you—I will not work with you if I don’t think I can help you. 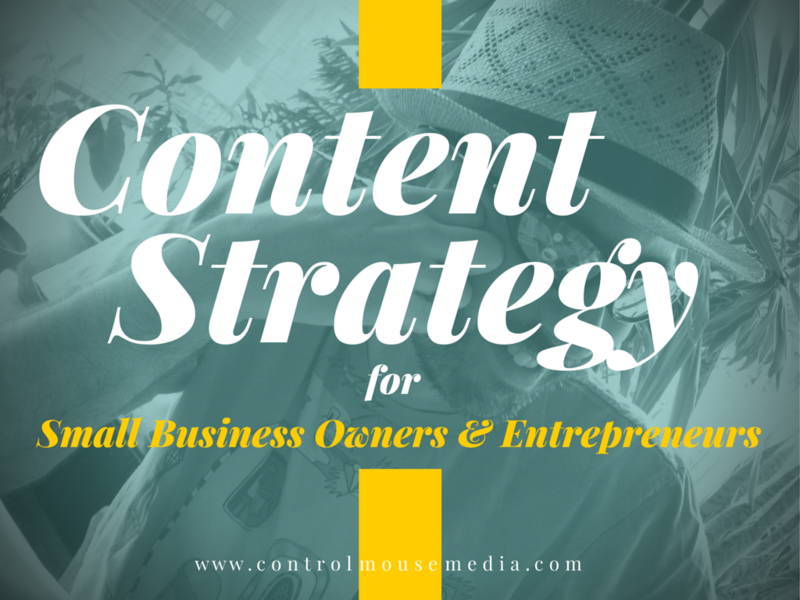 Check out my podcast to learn more about content strategy for small businesses of all types: http://controlmouse.media/podcast. For more about my professional background, here’s my résumé: http://mboezi.com/cv. Connect with me on LinkedIn, Twitter, or contact me below. Or book a single session (or a set of strategy sessions) here and we’ll get started right away!